The data used to calculate the figures are from the March payroll. The relevant employees who are part of the data that have been used to calculate the figures are employees employed and paid their usual pay in March. As no bonus are paid as part of the pay structure, the figures on bonus will be reported as 0. These figures will be reported on the Gov.uk website, in the Gender Pay Gap section. In addition to publishing the data on the website, they must be published on the PSMG website with a statement signed by a Trustee. The statement should explain briefly what is being done to reduce the gender pay gap. The statement also mentions that the data were calculated in line with the regulations. The figures and statement should be published as soon as possible from 4th April 2018. The next figures will need to be published on the Government website by the 3rd April 2019. For information, the proportion of male/female employees and proportion of part-time male/female employees have been added to this report. 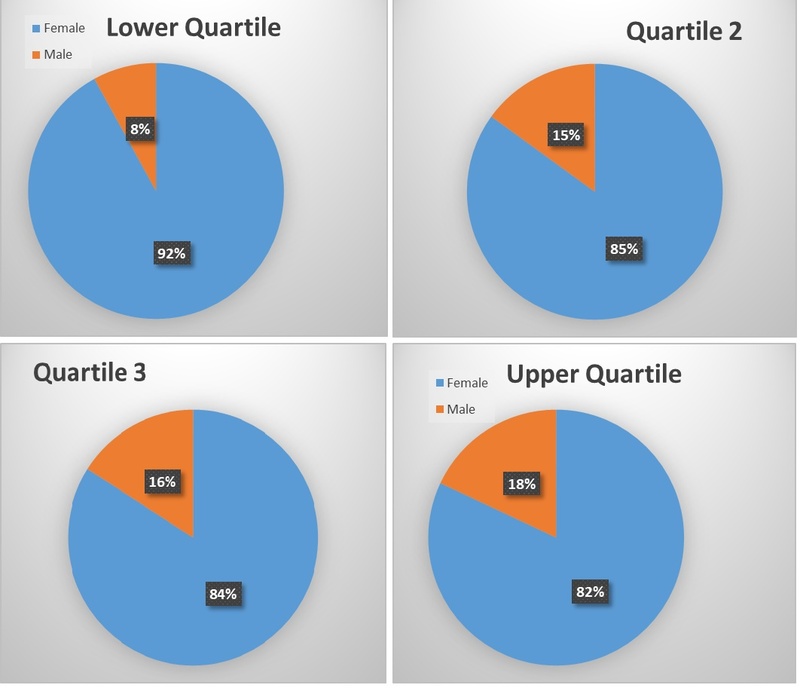 The below charts illustrate the gender pay distribution at PSMG across four equaly sized quartiles. The data have been calculated according to the requirements of The Equality Act 2010 (Gender Pay Gap Information) Regulations 2017.